I do love a good brochure. 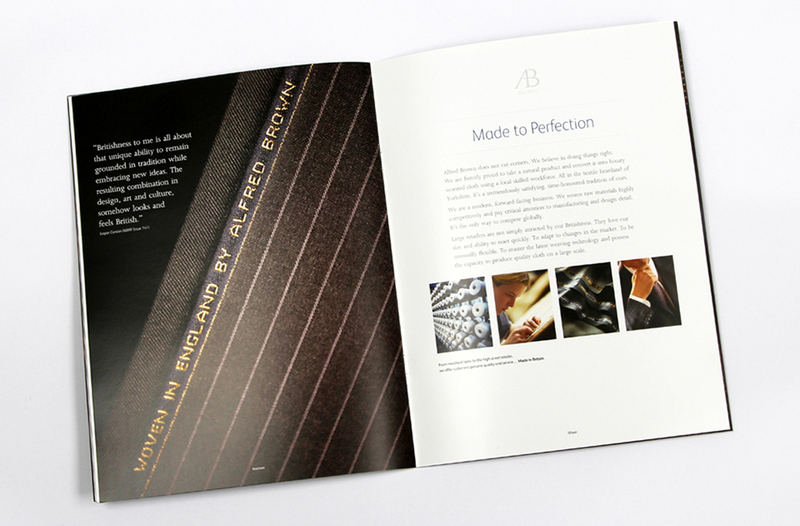 So, I was chuffed to have been commissioned by 7NineDesign to write this brochure for legendary worsted fabric manufacturer Alfred Brown. 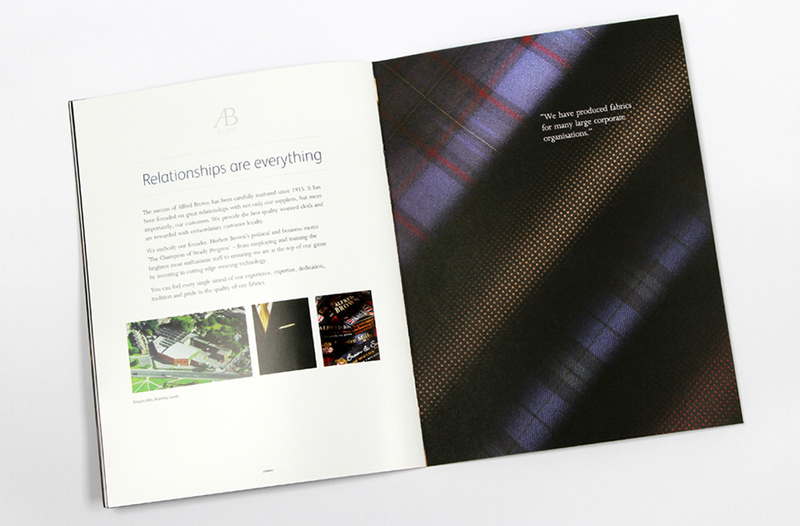 The mill has a fascinating history which I brought to life in this great British brochure. Politics and textiles. An unusual mix? Not for Liberal and respected businessman Herbert Brown who created Brown & Sons (Bramley) in 1915. With big ambitions, he became Deputy Lord Mayor of Leeds, had his sights on being an MP, but decided to concentrate on what he did best. Weaving. He manufactured uniform cloth for the military, fire and police services. The leadership of Herbert’s sons Alfred and Stanley enabled us to survive tough trading conditions and times of the 1920s and 30s. In fact, we grew. And the Yorkshire Textile Industry flourished with us. In the 1930s. Mills and clothing factories dominated the area. The entrepreneurial spirit was born. 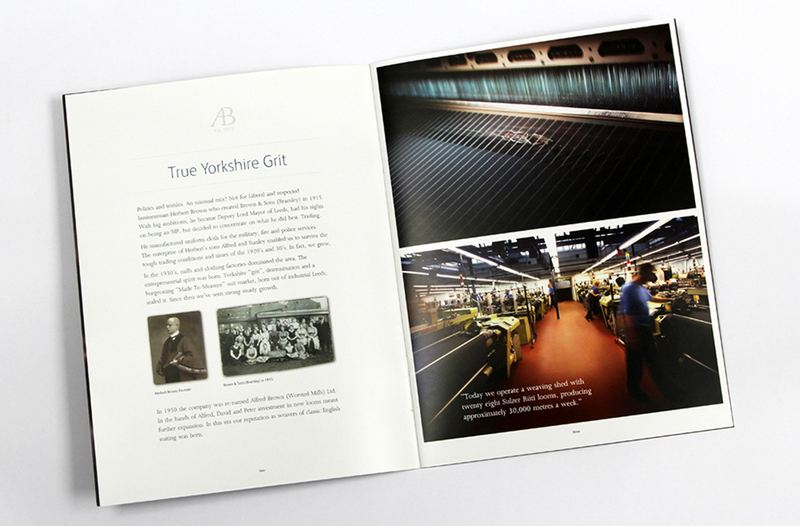 Yorkshire ‘grit’, determination and a burgeoning ‘Made To Measure’ suit market, born out of industrial Leeds sealed it. Since then, we’ve seen nothing but strong, steady growth. You can’t just buy heritage and expertise. You have to work at it. Stick with it, though thick and thin. Today, after four generations of Browns, directors Ian and Nigel Brown, together with Sales Director Roger McArdle, maintain our manufacturing heritage. We’ve continued to survive and prosper by achieving the right balance of investment in state-of-the-art weaving technology and respect for our traditional values. 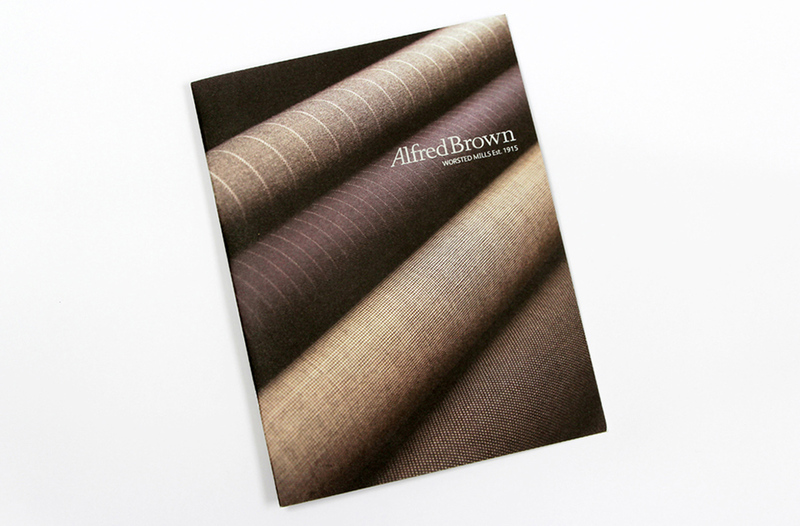 It seems to work as Alfred Brown remains one of the few British weavers with looms in the industry. We are 100% committed to providing impeccable service, manufacturing fine quality worsted fabric on our looms in Bramley Leeds and constantly reinvesting in new weaving machinery. Above all, we are totally dedicated to our skilled and loyal workforce. To us, they are family.